Professional presentation can make or break your trade show or exhibition.When presentation matters, Corporate AV is the company to call. Trade shows and exhibitions are our speciality. 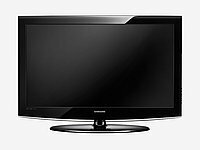 Select from Samsung Plasma screen hire and LCD screens, which can be mounted back to back. Hire Rate $500/day. Call for exhibition rate. Hire Rate $300/day. Call for exhibition rate. Hire Rate $200/day. Call for exhibition rate. Hire Rate $140/day. Call for exhibition rate.